It should be no surprise to readers of the Living Landscape Observer that conserving large landscapes in the current political climate is challenging. While the inevitable negative impacts of the recent shutdown (December 22, 2018 – January 25, 2019) represent the most immediate threats to the management of public lands and federal programs that conserve our cultural and natural resources, the bigger issue is the underlying erosion of landscape scale work throughout our national government. The 2015 American Academy of Science report “An Evaluation of the Landscape Conservation Cooperatives”, identified the need for a landscape approach to resource conservation. The report noted that geographic scale and the complex web of management responsibility for natural and cultural resources demand a collaborative approach to conservation and that this is especially true in times of scarce resources. Only through this approach can the nation address such systemic challenges as conserving wildlife habitat, combating invasive species, protecting cultural landscapes, and planning for climate change. The Landscape Conservation Cooperatives (LCCs) were designed to provide a framework for federal agencies to meet these challenges. And of course, they were one of the first programs to be dismantled. Another set of actions that has had an outsize impact on large landscape conservation is the ongoing reduction in public land protections. In 2017, for example, the Trump administration launched a review of 21 national monuments. The most publicized outcome of this process has (thus far) been the shrinking of Bears Ears National Monument. Within the borders of this monument alone, the potential losses are tremendous – decreased protection for an estimated 100,000 archaeological sites as well sites with significance for paleontology and geology. Even more important, the landscapes of the monument have tremendous ongoing cultural importance for many Indigenous peoples in the region. Shrinking Bears Ears is a lost opportunity to manage part of the country’s heritage on a landscape scale and to do so in partnership with the Native nations that have lived upon and cared for these lands for generations untold. Read more here. Bears Ears National Monument as well as another Utah national monument, Grand Staircase Escalante, were not the only places that have suffered reduced protection. Protection for marine reserves have also been reduced. Overshadowed by the controversy over shrinking the size of national monuments that protect large swaths of the United States’ western landscapes, is a parallel effort to change the protected status of the nation’s marine resources. 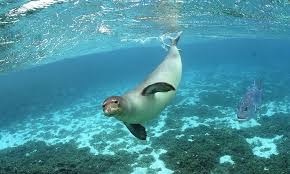 While all eyes have been focused on Department of the Interior, the Department of Commerce has prepared its own report to review the size and protection offered to six national marine sanctuary expansions and five marine national monuments. Read More here. 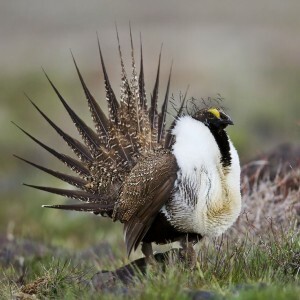 Less reported on – but also a real calamity – is the dismantling of the multi state effort to save the Greater Sage Grouse. Spurred to action by strong interest in preserving the bird and its habitat and concern about a possible endangered species listing many agencies and organizations came together to protect the species over a large landscape. These efforts to conserve greater sage-grouse habitat were not limited to state and federal agencies. Industry and private landowners also developed means of conserving greater sage-grouse. The Sage Grouse Initiative has worked with more than 1,129 ranches to conserve more than 6,000 square miles of sage-grouse habitat in 11 western states. Although hailed as a conservation success, in 2018 the Department of the Interior decided to revise this broadly backed and science-based approach. The proposed changes could have significant and far-reaching effects on sage-grouse in America—specifically by weakening protections on the landscapes the species calls home. Read More here. States are also continuing to support landscape scale conservation. 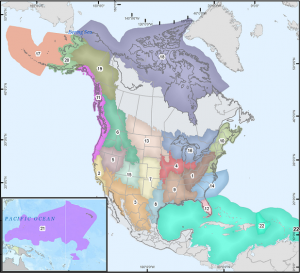 North American fish and wildlife agencies have recommitted themselves to coordinated conservation strategies on a national and international scale. See Association of Fish and Wildlife Organization’s Strategic Plan Goals 3. 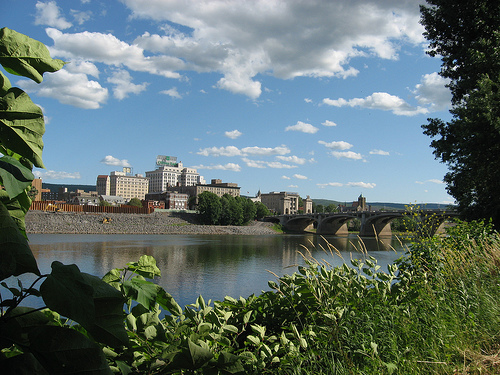 States like Pennsylvania are expanding support for innovative Conservation Landscape efforts. Virginia has adopted a new Conservation Vision to guide development on a landscape scale. Because of the pattern of land ownership in the United States, large landscape work west of the Mississippi must engage Federal partners. If those essential partners are not engaged in these efforts, the work becomes immensely more problematic. For example, the reduced size of both Grand Staircase-Escalante and Bears Ears National Monuments eliminated protected status for more than 2 million acres of land in Utah alone. Federal partners bring more than just land ownership. Until recently they brought a powerful voice for a landscape ethic, partnership programs like the Landscape Conservation Collaboratives and landscape programs in the Forest Service, the Bureau of Land Management and even the Department of Defense have played a critical role in making the landscape approach work. In addition to other actions the administration has delayed re-appointments to friends groups and Advisory boards. They might as well post a big sign “Not Open for Partnership Business.” Well not completely, the federal government is open for other business such as the business of extractive industries as demonstrated by, increase in drilling permits alone. And these interests have no reason to embrace landscape conservation. Under the current administration there is hardly even a nod to the landscape benefits to the recreational industry or to gateways communities. Issues were on the table during the last republican administration of George W Bush. Of course, all this makes total sense, if as the National Academy report states, landscape scale work is powered by the need to address issues like unregulated development, energy extraction, and climate change. Seen through this lens, the idea of landscape scale conservation is in clear opposition to the current administration’s agenda. Many groups are tackling pieces of the puzzle by pushing back with activism on specific issues and if needed law suits– see the work of the Coalition to Protect America’s National Parks. Other are working harder to be successful in their own bailiwick such as the Network for Landscape Conservation. But there is also a need to call out this dismantling of critical Federal programs and partnerships as what it is – a systemic challenge to landscape scale thinking. Perhaps we need a more unified platform, a bigger vessel in which to track the risks to this important work. We need to merge the agendas of nature and culture conservation not just around protected lands, but in advocating approaches that engages all partners and incorporate our lived in landscapes toward achieving conservation goals at scale. 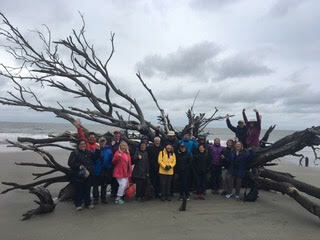 The Coordinating Committee of the Network for Landscape Conservation gathered for a picture on Boneyard Beach, Bull Island in the Cape Romaine National Wildlife Reserve in South Carolina. The field trip kicked off an April retreat in Charleston South Carolina to finalize the outcomes of the recent National Forum for Landscape Conservation and to identify strategic initiatives to advance the conservation at a landscape scale. Collaborative, cross border conservation is an emergingtrend in North America and beyond, offering a new approach to connect and protect nature, culture, and community. The Network was formed to serve as a new organizational center for practioners and to advance expertise on conservation at a landscape scale. The low country region is a great example of a conserved natural landscape with four Federal Wildlife Refuges, designation as the Carolinian-South Atlantic Biosphere Reserve, and ACE Basin Project that manages over 100,000 of protected lands and estuaries. However, it is the cultural heritage of the region, it is one of the centers of Gullah Geechee culture, that makes the landscape of truly global cultural and natural significance. 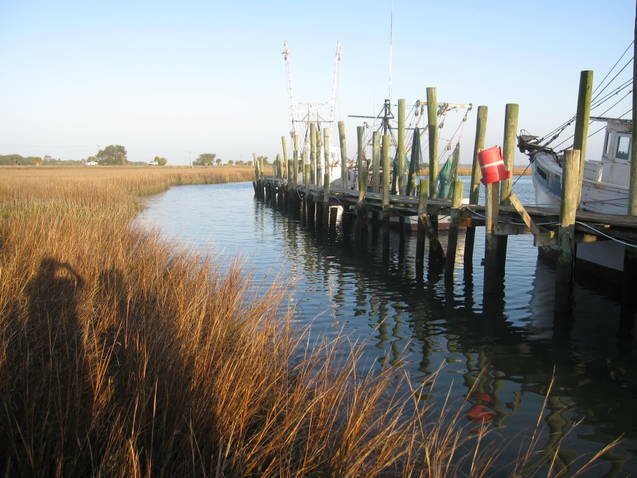 Today sprawling coastal development, changing job markets, and population shifts have impacted the natural resources of the low country and those same forces have adversely impacted many Gullah Geechee people. These changes have caused a loss of their traditional economy of farming, fishing, hunting, and small-scale marketing of subsistence products, most famously sweet grass baskets. In many cases real-estate development has led to loss of lands that had been in families for generations. First came the northern owned hunting clubs and estates, later military bases, and then resort and second home development. This encroachment by outsiders has resulted in out-migration, economic hardship, and loss of Gullah Geechee culture. At the April meeting the members of the Coordinating Committee were privileged to hear from two women who are working to preserve the culture of the Gullah Geechee people that is so deeply rooted in the low country region. Heather L. Hodges, the recently appointed Executive Director of the Gullah Geechee Cultural Heritage Corridor Commission spoke about activities to expand and preserve the body of knowledge on the culture and history of the Gullah Geechee people in the Low Country and Sea Islands. She also gave a briefing on how much the landscape we see today in Charleston region was created by enslaved Africans using knowledge from their homeland to grow rice. To learn more read The Creation of the Rice Coast: A Global Exchange. Jennie Stephens, Executive Director of the Center for Heirs Property Preservation, explained how her organization helps prevent land loss among the traditional African American land owners, who often owned family land in common. 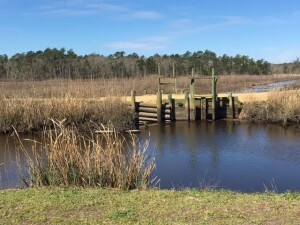 As explained on the Center’s web site”In the Lowcountry, heirs’ property is mostly rural land owned by African Americans who either purchased or were deeded land following Emancipation. At some point in the land’s ownership, it was passed down without a written Will – or was not legally probated within the 10 years required by SC law to make it valid – so the land became heirs’ property. Heirs’ property ownership is risky because the land can be easily lost. Any heir can force a sale of the property in the courts – OR can sell his/her percentage of ownership to another (outside of the family) who can force a sale of the entire property in the courts. To address this loss of cultural fabric, the Center for Heirs Property Preservation aids low wealth heirs’ property owners by helping them obtain clear title and keep their family land through legal education, legal and mediation services, community empowerment and free Wills Clinics. In addition, the Center promotes the sustainable use of such land to provide increased economic benefit to historically under-served families. For the Network for Landscape Conservation and all its partners, the Low Country of South Carolina is truly a powerful example of the interlinkage of nature and culture. It is a lesson that effective landscape scale conservation must begin with an understanding of the region’s cultural and natural heritage as well as the living traditions of today’s descendants. And to fully value the significance of the resource, we need to place the story within a global context. 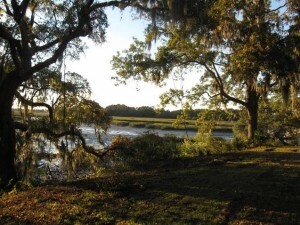 In this case it is the transatlantic slave trade, the market in global commodities, and the vast international Atlantic exchange of indigenous knowledge that were the forces behind the creation of this landscape.Fortunately, an effort is underway, led by the Charleston World Heritage Coalition, to nominate the iconic buildings and landscapes representative of the region’s Lowcountry plantation-driven culture as a UNESCO World Heritage Site. Perhaps at last the whole story will now be told. All of the above programs have been identified in an National Academy of Sciences 2015 report as part of the public policy tool kit that helps support landscape scale conservation efforts. As for what will happen to the Department of Interior’s landmark program, the Landscape Conservation Cooperatives (LCC), well the fate of the LCCs are not mentioned by name. However, given the proposed drastic budget reductions and the trend to de-fund landscape scale conservation initiatives, the signs are not hopeful. And this all before the proposed cuts and deletions of any program that addresses climate change. Wait a minute, isn’t that just how the NHA program is supposed to work with every Federal dollar matched by other public or private contributions? And, in addition, doesn’t the program have strong evidence to back up claims that it provides such a match as well as additional public and private leverage? This is very discouraging. This all sound good. However, any proposal that imposes a 12% reduction in funding for land managing agencies is problematic. Front-line services at National Park units could be hit the hardest and it will certainly impact the service’s other cultural and natural resource programs. The Blueprint also proposes upping dollars to the NPS for deferred maintenance, but if staff for maintenance, planning and administration such an initiative is lost this increase will not provide much of a solution. For a comprehensive overview of the NPS funding and infrastructure issue see Denny Galvin’s recent testimony before the House Committee on Natural Resources. It is important to emphasize that in most cases the March 2017 Blueprint does not contain information on exactly which programs and accounts will lose out, but with such deep cuts in base funding there could be many losers. However, these proposals, both at the aggregate level and the specific program level, are just that—proposals. They are the administration’s ideas on how Congress, to whom the Blueprint goes next, should allocate dollars in each of these areas. While it needs to be taken very seriously as an indicator of the direction in which the President would like to head, it is only a starting point for the 2018 Federal Budget. So over to you Congress… we all need to be watching closely or better yet taking action. The National Park Service celebrates a milestone in 2016: the centennial of its inception. There will be much fanfare about the past 100 years of what some call, “America’s best idea.” For its part, NPS is looking to the future, strategizing how to capitalize on its birthday and bring the idea of National Parks into the 21st Century. It is the perfect opportunity to affirm the transformative potential of its cooperative programming. In addition to hailing its achievements, NPS hopes that its centennial will turn attention to its role in telling the American story. Director Jonathan Jarvis has outlined his plans for the agency in a Call to Action, which describes a series of strategies to connect people to parks, advance the NPS mission, preserve America’s special places, and enhance the agency’s organizational excellence. One such strategy is to build awareness of the value of the NPS mission by studying the economic value of the full range of its operations. This action item acknowledges the importance of an accurate public understanding of the NPS mission, and the common good that the mission creates. Environmental economists have traditionally focused on the management of physical park units when performing economic valuations. The value NPS creates by operating cooperative programs outside of its park boundaries (including programs aimed at education, conservation, historical preservation, and recreation) through collaboration with local partners is just as relevant albeit more difficult to define. Still, we cannot omit the value that programs provide just because it is harder to quantify: programming can be the most effective and efficient method of achieving some of the agency’s long-term objectives. An accurate valuation of NPS must include these programs, and accurately describe how they create public value. I recently observed this problem when conducting a case study of the NPS Chesapeake Bay Office. The office operates solely through collaboration and programming. People often told me that it was as the “glue” between disparate partners in the region. By convening and collaborating with partners big and small, they connected stakeholders throughout the watershed. However, the significance of this role was never well defined. The qualitative interviews I conducted with partners in the region helped to put this vague description of value into context. Analysis revealed how NPS leverages its connections and strengths within a collaborative network of partners. In economic terms, the impact of NPS programming is its potential to produce positive intermediate outcomes that feed back into their operations. Intermediate outcomes include increased trust, greater public awareness and appreciation, cross-agency and interdisciplinary training, and a shared sense of purpose and place. These make the network’s shared efforts to conserve and restore the Chesapeake Bay more efficient and effective. Recent studies have even shown that this kind of approach can lead to better environmental regulatory compliance. For NPS, programming allows the agency to collaborate with partners outside of its physical landholdings. This expands the potential of its conservation efforts to create public value (ecological, cultural, historical, recreational, and economic) on a large landscape level that extends past park borders. Despite the problems of quantification, acknowledging these outcomes explicitly as benefits in a discussion of value will ensure that the public is aware of cooperative programming and its role in stewardship and conservation. Most importantly, it forces us to consider the role that these outcomes can play in a future when partners form strong, flexible networks unified by common objectives. Indeed, this forward-looking perspective is precisely why economic valuations can be a powerful tool. I found that the NPS brand instills trust that can be leveraged to create a strong and cohesive narrative about natural and cultural conservation and public access. 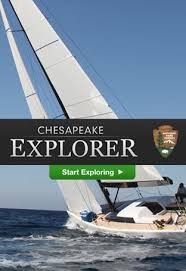 Ultimately, NPS connects the public to the Chesapeake Bay, and the Chesapeake Bay to the public. This effort produces stakeholders out of people who did not know they cared, and aligns the interests of those already passionate about the living landscape that is the watershed. This is a critical step towards ensuring the long-term success of conservation efforts aimed at preserving this public good. 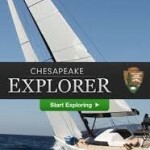 As NPS makes plans to scale up its mission for the next 100 years, it should look no further than how it can expand its role as organizational “glue.” Its cooperative programming has the ability to span levels of governments, geographical boundaries, interest groups, and ideologies in order to effectively connect the American public to its natural and cultural history. There is real public value in performing that role well. We should all consider how to articulate that value so it is better understood and appreciated. The author Stephen Thompson is a Master in Public Policy student at the Harvard Kennedy School. He spent last summer as a consultant with the National Park Service in Mammoth Cave, Kentucky. Prior to graduate school, Stephen served as Director of Program Quality at Cross-Cultural Solutions and was responsible for program evaluation and impact assessment. He is a graduate of Carleton College, where he studied History. The 2016 Federal Budget: How did Large Landscapes Fare? After months of uncertainty, weeks of negotiations and two short-term extensions to keep the government open, Congress passed and the President signed the 2009 page omnibus spending Bill, titled the Consolidated Appropriations Act of 2016. How did federal initiatives that support landscape scale work and fund our natural and cultural conservation program fare? Ding, Ding, Ding! Only three dings as Congress limited reauthorization of the now 50-year old fund to just three years. However, the good news is that it is still around and with $450 million allocated for the coming fiscal year much good work can be accomplished at the state and national level. Landscape work was specifically recognized in an appropriations for a number of large scale projects including an appropriation for the Rivers of the Chesapeake. This Collaborative Landscape proposal received $11 million for land conservation in the Chesapeake region and $2 million for supporting a range of public access and conservation efforts along the Captain John Smith Chesapeake National Historic Trail. It is estimated that this targeted funding will protect 2,100 acres of land in this threatened watershed. Not quite such good news to kick off the celebration of the fiftieth Anniversary of the National Historic Preservation Act. The appropriations bill did not include the reauthorization of the Historic Preservation Fund, which expired on September 30th. 2015. This means that action on a bill (HR 2817) to reauthorize the fund will have to wait till the New Year. However, there was some good news. Overall the bill funds the HPF at $65.41 million, an increase of $9 million over FY15 enacted levels. $8 million in grants to preserve the sites and stories of the Civil Rights Movement and $500,000 in grants for underrepresented communities. Generally good news as funding remained level at $19,821 million. Since the program has been without strong administration support, just holding on to a level appropriation has been an annual struggle. In addition the 2016 act extended the funding authorization for three areas and increased the funding authorization caps for four other areas. Overall Congress showed an interest in sustaining the program. One twist to watch is the transfer of $625,000 funding that in the past went to the Blackstone River Valley National Heritage Corridor https://blackstoneheritagecorridor.org from the national heritage areas program account to the new Blackstone Valley Historic Park. As for now the heritage corridor and the new park are working closely together. The heritage corridor’s level of staffing and on the ground facilities like visitor centers are a boon to a park that is just finding its feet. How will blurring of the lines between what has been traditionally been an external program and a new unit of the national park system work out in the long run? Since this is a year-to-year arrangement, we have to wait and see. Five years ago the Department of the Interior launched the Landscape Conservation Cooperatives (LCC) to better integrate science and management to address climate change and other landscape scale issues through collaborative networks that are grounded in science. As one might imagine congressional funding for this program has been a point of contention. Despite threats to severely reduce or even eliminate the program, the final appropriation for the 2016 budget the LCC was only reduced by $1 million in the Cooperative Landscapes account — from $13,988,000 in FY15 to $12,988,0. The LCC budget in the Adaptive Science account remains at the FY15 level — $10,517,000. So the final outcome should be seen as a win for the landscape approach to resource management. To learn more about the LCCs read the just released National Academy report A Review of the Landscape Conservation Cooperatives. The public sees such programs, particularly the long established ones, as beneficial and conserving the things they care about. Advocacy is an essential part of program survival. High marks go to the coalition to reauthorize the Land and Water program. They have had an impressive ground game and media presence. While not conclusive, positive evaluations of the program such as the recent study on the LCCs and the reports on the National Heritage Areas might have turned the tide on the funding issue. Readers do you have any other observation? All good ideas welcomed as next year will not be any easier! PS If you like the posters celebrating the 50th Anniversary of the National Historic Preservation Act, you can order them at the Preservation 50 web site! My interest in this topic began during a visit to the Journey Through Hallowed Ground National Heritage Area (JTHG NHA), where I was introduced to the Of the Student, By the Student, For the Student Service Learning Project (OBF) . This program became one of two case studies I explored in my thesis research. 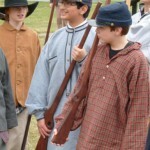 Created and customized by the Journey Through Hallowed Ground Partnership (JTHG Partnership) in 2009, OBF connects students with surrounding historic, natural, and cultural resources reaching from Thomas Jefferson’s Monticello to Gettysburg National Military Park. interpreting for themselves, some aspect of a particular historic site they find most interesting, and then conveying their discoveries through mini documentaries or Vodcasts. The project is entirely student-driven, with guidance along the way from JTHG Partnership professionals in areas such as time management, provision of funding and filming equipment, interpretation and film editing. 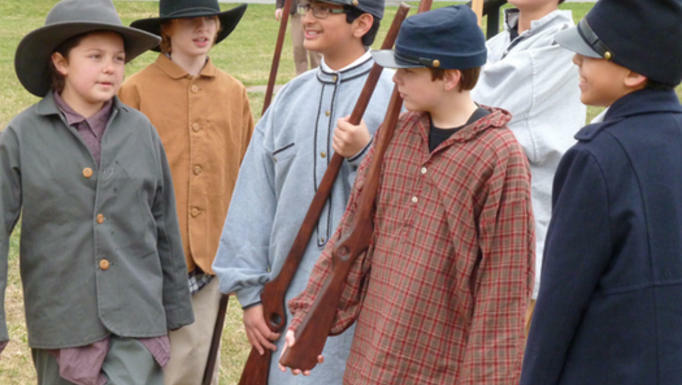 In short, OBF completely immerses middle school students in surrounding heritage sites as they work in small groups to research primary documents (i.e. newspaper articles, personal accounts, etc. ), film on site, edit, and produce a short film. Students are encouraged to incorporate music, art, dance, poetry, and other creative elements to give meaning to the story they are trying to tell. 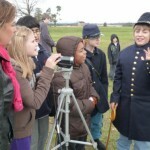 In some cases, the resulting Vodcasts are incorporated into the official interpretive materials at various historic sites. In all cases, students embrace the important responsibility of telling a story to their community, to their academic peers, and to the world at large. 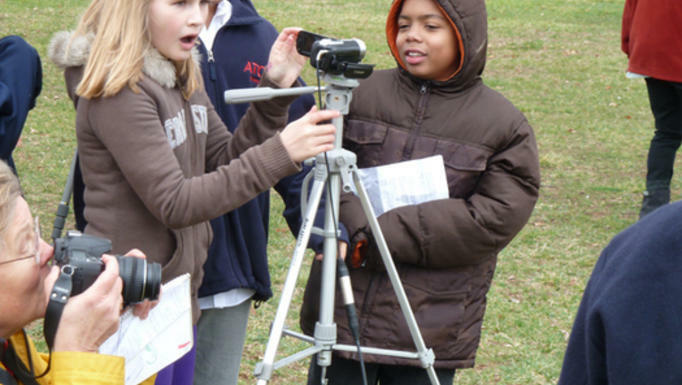 In the process, students cultivate skills in teambuilding, media technology, and the humanities, as well as develop a deeper connection with and understanding of place. A school administrator involved in the program more poignantly explained: “Every day as our students rode their buses to school they travelled past battlefields, Presidents’ homes, and other places of historical significance which they did not know or appreciate. We were committed to changing the way that our students saw the historically rich county in which we lived, but we did not have the vehicle to achieve that change. [The JTHG Partnership] provided that for us through the Vodcast experience. Please follow this link to view completed Vodcasts. OBF is a gripping case study in which the NHA directly connects with students –with the cooperation of the teachers and administration. My second case study, Park for Every Classroom, reaches students indirectly, by way of educating their teachers. 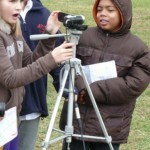 Developed by the Northeast Regional Office of the NPS in 2011, this program was intended to build collaborations among NPS staff, local community and educational partners, and teachers in order to engage students in place-based learning that would promote stewardship of parks and communities. During an intensive, week-long seminar, teachers assume the roles of students, absorbing the possibilities of integrating their local National Park site into the school curriculum. In addition, teachers are introduced to the concept of service learning and the many ways it can be tailored to meet an authentic need in their own communities. 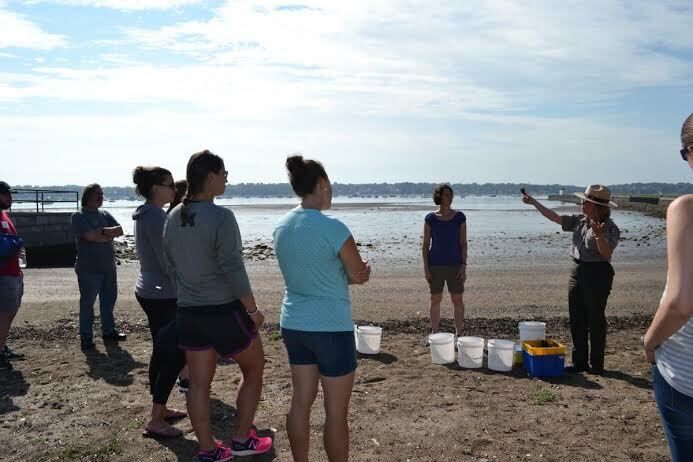 While this program has been successfully implemented at National Park sites all over the Northeast region, one case in particular stood out to me. 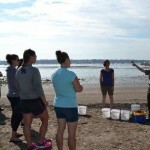 Unlike other applications of the program, the NPS staff at Salem Maritime National Historic Site (SAMA) in Salem, Massachusetts decided to take advantage of the site’s position within Essex National Heritage Area (ENHA), and expand the program beyond park boundaries to enable teachers to utilize heritage resources closer to their own communities. Essex Heritage, the managing entity for ENHA, was chosen as the community partner. As a result of this more inclusive approach, the name of the program at SAMA was changed to A Coast for Every Classroom (CEC). Maryann Zujewski, Education Specialist at SAMA and Saugus Iron Works National Historical Site, and Beth Beringer, Education Coordinator at Essex Heritage, lead the seminar together and have a tight-knit partnership. This strong collaboration between NPS and NHA professionals produced a tremendously successful program –proof being in the seminar’s waiting list and the overwhelmingly positive evaluations from participants. A recent CEC participant explained that PEC triggers “a revolutionary shift to student driven learning that takes them out of the classroom into a partnership with their community.” Like OBF, these projects build students’ technological skills as well as their ability to work in teams while at the same time facilitating a deeper community connection. For a list of project examples please follow this link. Both OBF and CEC strongly embody the principles of place-based learning, a teaching approach that is gaining momentum in schools around the country. Though the concept of lending a localized context to the classroom curriculum is as old as organized learning itself, it was lost in the push to meet national learning standards. As a result, young people lack a deep connection with their communities, and more so, an appreciation for the elements that make their communities unique. So what’s the big deal? A major problem is the missed opportunity within these communities to benefit from civic-minded young people, and in many cases, the loss of future productive citizens to other more appealing locales –future productive citizens that may very well take on the responsibility of preserving the resources that make their hometowns unique. So where does the NPS come into the equation? The ripples of this disconnect with place have also affected National Parks. In fact, the NPS’ official document, A Call to Action, notes a decline in the diversity of visitors to National Parks, including younger populations. The document goes on to suggest more creative approaches to engage young people in parks, and, a key point, to instill in them a stewardship ethic that will better ensure the preservation of the nation’s special places. Indeed, the importance of place –connection with place, appreciation of place, and stewardship of place- stands out as a critical shared goal among NHAs, the NPS, and the place-based education initiative. specialize in collaborative partnerships, leveraging funding, and helping denizens to interpret the landscape as a meaningful whole. Over the course of my study, this combination of characteristics played a key role in effective place-based educational programs –programs that draw students outside the conventional classroom to participate in community-oriented, enriching learning experiences. With this in mind, NHAs around the country should move toward assuming a greater leadership role in the realm of place-based education. My hope is that my thesis work will contribute to an ongoing national conversation regarding the value of NHAs, their purpose, and their sustainability in the 21st century. With numerous proposed designations awaiting approval in Congress and annual budget cut threats for those NHAs already in existence, my research findings provide a different angle of advocacy, which further intertwines NHAs with the nation’s foremost preservation agency, and equally important, the nation’s young people. The author Marie Snyder received her Bachelor’s Degree in Historic Preservation at the University of Mary Washington and her Master’s at Goucher College. She recently relocated from Norfolk, VA to Fallbrook, CA where she lives on an avocado farm. The Blackstone River Valley has always been a hotbed of innovation from its earliest industrialization to experimentation in protected area management with the creation of the national heritage corridor in 1986. Recently, the conservation possibilities of the region have been re-imagined yet again. In 2014, Congress authorized the Blackstone River Valley National Historical Park with a dual purpose to preserve, protect and interpret the industrial heritage as well as its urban, rural and agricultural landscape that provides the overarching context for the region. 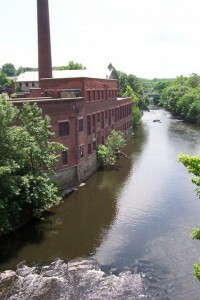 Along with individual industrial sites, the park boundaries include the Blackstone Canal and the Blackstone River and its tributaries. The legislation also recognizes the role of the Blackstone River Valley National Heritage Corridor (BRVNHC), which was re-authorized to the year 2021. And to top it off the park legislation permits the National Park Service (NPS) to work outside of the park’s boundaries and enter into agreements with the BRVNHC. This offers an unprecedented opportunity for the NPS to conserve the Blackstone Valley on the landscape level – a living laboratory for NPS’s signature Scaling Up Initiative. This is smart thinking, as a former NPS director George Hartzog said “Policy without money is just talk.” At the same time, there are some real concerns that this action diverts scarce dollars from the National Heritage Areas (NHA) program. The 2016 Greenbook already proposes to cut the NHA funding in half from the 2015 appropriation and the $650,000 for the Blackstone Valley would be deducted from that limited pot. It also brushes aside the NHA funding formula that has been painstakingly negotiated over the past several years. Finally, what if park units continue to dip into the NHA funding? Seems a bit unfair considering the NPS overall budget is approaching three billion and the proposal for the NHAs in 2016 is under $10 million. In an article last year, Blackstone River Valley National Historical Park Next Step up for Heritage Areas?, the Living Landscape Observer posed a number of questions for the park and the heritage corridor. Looking back these queries are more critical than ever. Will the new national park fashion a management strategy that takes advantage of these sweeping authorities? Will the heritage corridor be made a full partner in preserving and interpreting the larger landscape? Can the permanent presence and sustainable funding of a park unit serve as home base to continue the innovative holistic approach to the Blackstone Valley? Stay tuned: Only time and hard work will tell if this might be the new model that will put the Blackstone Valley back on the map as one of the most innovative models for landscape conservation in the country. In August of 1984, President Reagan signed the legislation to create a new kind of National Park Service designation – the Illinois and Michigan Canal National Heritage Corridor. The heritage corridor or area idea was conceived as a way to cross the culture –nature divide and leap political boundaries with the goal of blending public-private resource conservation, interpretation, and community revitalization. Heritage areas tell stories that are too big, too gritty, too alive, and just plain too expensive to be confined to the boundaries of traditional national park unit. And heritage areas harness grassroots energy to power all this good work. Over and over the National Park Service (NPS) has touted the NHA approach to partnership and community engagement. Reports such as the now ten year old Charting a Future for the National Heritage Areas, and the recent Call to Action call out the program as the future of the park service. Over and over evaluations of the heritage area program have documented effective management, and the cost efficient resource conservation and recreational development. This year is the thirtieth anniversary of the National Heritage Area (NHA) program, but don’t celebrate too soon. NHAs across the nation are facing a perilous time. The now 49 National Heritage Areas stretching from Atlantic coast to the state of Alaska are struggling to survive. They have been hammered by shrinking federal budgets, questions about the role of government, and even their right to exist. The Living Landscape Observer (LLO) follows the large landscape movement and in our opinion NHAs are some of the most innovative regional initiatives out there. Yet with the future of the program at risk, it is time to try and tackle some of the difficult political and programmatic questions. For example, with so many National Heritage Areas across the country and Congress proposing to designate more, why is the sustainability of this program at risk? With such intense interest in landscape scale work and collaborative approaches to conservation and community engagement, what can be learned from NHAs? Who are the partners that have similar mission and can help support the program? How can the heritage areas be repositioned to further the National Park Service’s stewardship role in the 21st century? Produce a short history of the NHA program – available on the LLO web site in June 2014. Provide a current conditions assessment on the program – available on the LLO web site July 2014. Conduct surveys, hold meetings, and have discussions on the future of NHAs with diverse partners and interested parties. Publish our insights and recommendations on NHAs in December 2014. Seek to engage young scholars in the field of landscape scale resource conservation by asking for their essays and contributions. Help us tell the Whole Story: We are seeking opinion pieces, comments, and stories on NHAs…so join us in the discussion about the program’s future. Contact us with your ideas! 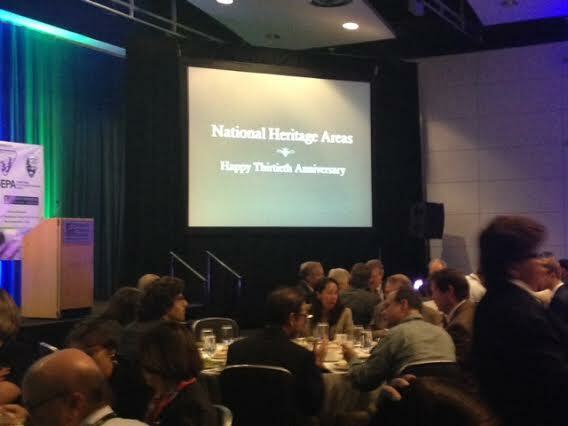 Happy 30th Anniversary National Heritage Areas at the National Workshop on Large Landscape Conservation. The National Workshop on Large Landscape Conservation October 23-24 was a sold out success. Almost 600 leaders and practitioners gathered to develop strategies for addressing the nation’s significant land and water challenges on a landscape scale. The conference also took the opportunity to celebrate the anniversaries of two of the more ground-breaking large landscape projects – National Heritage Areas and the Yellowstone to Yukon Conservation Initiative. These landmark efforts blazed the trail – demonstrating that large landscape conservation is possible with collaboration, hard work and big dreams. The national workshop also featured keynotes from high-powered conservation leaders such as Secretary of the Interior Sally Jewell, Mike Boots of the White House Council on Environmental Quality, and Collin O’Mara, President and CEO of the National Wildlife Federation. Presenters shared research and insights that show how large landscape efforts are an integral part of our response to challenges such as wildlife habitat degradation, threats to water quality and quantity, losses of working farms and forests, and limited public access to urban, rural, and wild open spaces. “Large landscape conservation initiatives are actually working to provide solutions for some of our nation’s most complex environmental challenges, while at the same time enhancing economic prosperity and energy security,” said James Levitt, Lincoln Institute of Land Policy fellow and NWLLC co-chair. Today there are 49 National Heritage Areas (NHA) stretching from Florida to Alaska and each area has its own individual legislative authorization. But authorizing legislation for the overall program has been an unattainable goal. Beginning in 1993* comprehensive program bills have been drafted and re-drafted, then introduced, only to fall flat on their face in one Congressional session after another. The current NHA program bill, the National Heritage Areas Act of 2013 (H.R.445), was introduced in the house with bipartisan support; there is no Senate companion bill. Over the last thirty years the lack of NHA program legislation has n been a barrier to the growth of the program. However, it has been raised as a hurdle to its legitimacy. It has been used to justify cutting the NHA budget and opposing any and all recent NHA proposals. One could argue that program legislation is not needed. After all the NPS has the organic act and Congress has designated each National Heritage Area just as they have designated each unit of the National Park Service. In addition the language in the recent NHA designation bills is almost identical so the issue of setting a standard of practice is of less concern. What is of concern is the connection between the National Park Service and the National Heritage Areas. There are so many good reasons for the NPS to embrace the NHAs: to tell diverse stories from the perspective of the people who own the narrative, to build a stewardship ethic in large landscapes, and to provide a living context for national park units. Director Jarvis enumerated these reason and more in a 2012 Policy Memorandum. And yet despite these mutual benefits this connection is at risk. If a legislative foundation for the program will help bridge this gap, then this legislation should be a high priority. So what are the odds that NHA program legislation will move this Congress? Not very likely according to sources on both the Senate and House committees. The house bill is not scheduled for a hearing and there is no bill in the Senate. The NPS has repeatedly stated the agency’s support for the concept, but has not taken a position on HR 445. And in fairness to all, this is a very hard time to get any NPS bills beyond a no cost park name change moving in Congress. Advocate for a hearing in the Committee on HR 445. Yes this is a tough environment, but the bill has articulate and committed cosponsors in Congressman Dent (R-PA) and Congressman Tonko (D-NY). Overall NHAs have bipartisan support in the house with 35 sponsors signed on to HR 445. Find a powerful champion. The last time a NHA program bill made real progress was in in 2006 when with the leadership of Senator Thomas (R-WY), then chair of the subcommittee on National Parks, legislation was reported out of the Senate Energy and Natural Resources Committee. The new chair of the committee is familiar with the issue with two NHA in her home state. Harness the political power of all NHAs. With the delegations from the existing 49 areas and the supporters of the eight ** proposed NHA bills introduced in this congressional session that is a lot of horsepower. The Centennial is coming! Take advantage of the upcoming NPS commemoration. How about program legislation as a NPS priority to celebrate this major milestone? A recent article in the National Park and Conservation Association’s magazine (Spring 2014) called national heritage areas “the next generation of national parks”. Perhaps now is the time to officially welcome them into the family. * The first NHA program bills were introduced in 1993 in the 103rd Congress. (1993-1994) The American Heritage Areas Partnership Program Act of 1993 (Introduced in House the then chair of chair of the Natural resources Committee– Rep Bruce Vento and another version the National Partnership System of Heritage Areas Act (Introduced in House by Rep Hinchey of New York. No surprise, given the sponsor’s home state, the Hinchey bill grandfathered in all existing NHAs as well as the whole New York State Urban Cultural Park System. Neither bill gained much traction or passed the house or senate. ** NHA legislative proposals awaiting action are the Alabama Black Belt National Heritage Area Act, Black Metropolis National Heritage Area Study Act, Buffalo Bayou National Heritage Area Act, Mountains to Sound Greenway National Heritage Area Act, St. Croix National Heritage Area, Sacramento-San Joaquin Delta National Heritage Area, Santa Cruz Valley National Heritage Area Act, and Susquehanna Gateway National Heritage Area Act. NHA@30: Funding for NHAs – Past and Present and What About the Future? On the Thirtieth Anniversary of the National Heritage Areas (NHA), one thing we can celebrate is that the program is still alive and still funded. In the 2014 federal budget, the 49 NHAs felt fortunate to receive an appropriation of $18.2 million as the administration’s FY 2014 request to Congress was for only $9 million. This demonstrates the resilience and political heft of the NHA idea. How many National Park Service programs can go to Congress and double their money? Once upon a time there was much more alignment of interest in the budget process. The National Park Service’s (NPS) budget request for the NHAs and Congress’s give was (give or take a few across the board trims and special bonus dollars) approximately the same number. For example in the early 2000s the requested and enacted amounts were only 10% apart and a number of NHAs achieved the almost impossible – authorized funding of close to $1 million. Of course there were many fewer of them and the NHAs place in the budget was still being sorted out between the many arcane pots of money in the National Park Service (ONPS, Stat. Aid and NR&P). But for more than a decade this has not been the case. At one particularly low moment the NPS FY 2007 budget request zeroed out the whole program. The result – NHA leaders became even more skilled in advocating for their cause and Congress went ahead and put the money back. After that experience NPS reductions for the NHA budget have been hovering at a more modest 50%. And every year a great deal of energy is expended to refund the program. Why has this happened? Over the years the NPS and its advisory bodies have consistently written glowing reports on the value of the program. Just take a look at the Charting a Future for National Heritage Areas and a Call to Action: Preparing for a Second Century of Stewardship and Engagement. A recent evaluation of 12 longstanding NHAs concludes that they are focused on their mission, well managed, and cost effective, but, without continued NPS funding, may not survive. There are many rationales for this budgetary disconnect. The argument has been made that federal funding for NHAs was just start up money, that in hard financial times sacrifices must be made, that program legislation needs to be in place before the NHAs can be fully funded etc.… And yet still the NHA’s come. Today there are 49 areas and more are waiting in the wings. So here is a 30th Anniversary idea. What if those planning the Centennial of the National Park Service made common cause with leaders of the NHA movement and harnessed their considerable advocacy skills and deep knowledge of the political process to help float everyone’s boat. What if everybody got on the same page? Emerging NHAs, National Scenic and Historic Trails, Wild and Scenic Rivers and other partnership parks could all benefit from this approach. Then we could start building the kind heritage partnerships that will sustain the places we care about not just for one congressional cycle, but for the next generation. NHA@30 New National Parks in the 1990s: Thinning of the Blood or a Much Needed Transfusion? In 1991, I wrote a paper by this title as a contribution to a National Park Services (NPS) gathering on the occasion of the service’s 75 Anniversary. Known as the Vail Agenda (for the conference’s location at an off-season ski resort) the meeting was at a time of review and self-examination for the agency. Trying to be memorable or at least catchy, the title played off then National Park Service Director James Ridenour’s discomfort at many of the new national park proposals being pushed on the park service by Congress and local communities. Ridenour had spoken out strongly against such “thinning of the blood” and the agency’s leadership knew exactly what he meant – more than a few nodded in agreement. These new threatening ideas were rivers and canal corridors, cultural areas, and partnership parks. A number of these new fangled designations became known as National Heritage Areas. … the issue before us is whether the National Park Service can make some sense or something of continuing value out of this phenomenon. While it may be too early to look for patterns and make predictions, we need to try. All time can do is prove us wrong. In trying to identify the opportunities in this new approach, I wrote about the pressing need to think big. The NPS had long recognized that parks were only a small patch of any given ecosystem and were constantly buffeted by changes to the larger whole. Cultural parks commemorating a specific event in time and place had often become an island in a radically changed landscape. Perhaps I suggested these new ideas for large landscapes could help conserve land adjacent to national parks or tackle projects where fee ownership is not feasible or desirable. In addition the new parks reflected new ideas about history by addressing industrial themes, tales of laboring men and woman, and other of the country’s diverse stories. These new parks were a long way from the traditional great men, great events type of historic sites and the agency needed to embrace this new direction. 1) Partnerships – True partnerships are developed between the federal government, state partners, local governments, local citizens and other related historic attractions. These partnerships are broad based, even regional in nature, and must be true partnerships, not just opportunities to come to a few informational meetings. 2) Economic value – Unlike traditional parks, the tourism and economic development role of a park in a community are directly addressed. Related natural and cultural preservation opportunities in the region are recognized and assisted. 3) Education and interpretation – The message is more complex than the one story line that can be told at one park or one site. The landscape and the natural environment in a broad area are used to tell the story. 4) Local priorities and capacities – Unlike a traditional park where the NPS has total control, economic, social and cultural concerns of the community must be incorporated into park planning and management. As we look backward, it turns out these ideas of partnership management, economic value of parks, regional interpretation and public engagement have become more and more central to the agency. Today managing park units at a landscape scale is seen as a more mainstream approach and the number of National Heritage Areas have grown from a trickle to a flood of designations. However, despite all these changes, NPS still struggles to make something of value from these new park ideas in the face of persistent foundation myth that continues to reinforce the more traditional narrative of the park as an island of protection in a sea change. Read the full paper here: New National Parks in the 1990s: Thinning of the Blood or a Much Needed Transfusion? Our Predictions for Living Landscapes in 2013: How Did We Do? Last December, the Living Landscape Observer ventured a few predictions for the coming year of 2013. So looking backward, how did we do? Let’s answer the question. 1. The large landscape movement will continue to expand. With no big change in course at the national level the landscape scale programs at the US Fish and Wildlife Service and the Bureau of Land Management will continue to grow and prosper. The America Great Outdoors initiative will frame the work of the Department of the Interior. The National Park Service will issue guidance on how to “Scale Up” efforts around National Park Units. On the private side, conservation organizations will come together around the new Large Landscape Practitioners Network. Answer: Yes, we were right on! Sally Jewell the new Secretary of Department of the Interior is just as committed to the large landscape approach as former Secretary Ken Salazar: highlighting large landscape efforts US Fish and Wildlife Service and the Bureau of Land Management, encouraging the National parks to Scale Up and issuing departmental Order 3330 “On Improving Mitigation Policies” in part through landscape scale planning . On the nongovernmental side, a new web site to connect large landscape practitioners is launching in the New Year. 2. National Heritage Areas will be pulled back from the brink. One of the country’s premier large landscape programs, the National Heritage Areas, are in a precarious position. The twelve original areas are facing a loss of funding and most of the newer areas are severely underfunded. We predict the program will be rescued, but remain unsure on whether much needed program legislation will be passed. Answer: Just barely, but nobody is a winner in this game of chicken. In 2013 the sequester followed by the government shutdown played havoc with all protected area programs. National Heritage Areas were particularly hard hit. For example, the future of the Blackstone River Valley National Heritage Corridor is very problematic. Once a shining example of public private partnership, it is struggling to keep the doors open, more on this story in the coming months. 3. The concept of cultural landscapes will be revitalized. New ideas about cultural landscapes including Indigenous Cultural Landscapes and Historic Urban Landscapes are attracting new and diverse audiences, including the conservation community, regional planners and urban developers. Look for these approaches to proliferate and shake up traditional concepts of cultural significance. Just one example of new ways to think about landscape is what’s happening at the Presquile National Wildlife Refuge. Answer: On track to succeed, the National Park Service launched a series of initiatives to rethink the meaning of cultural landscapes in the National Register program. For more information on another innovative idea, the Indigenous Cultural Landscape Initiative, see our post on the sessions at the George Wright Conference in March of 2013. 4. The Gullah Geechee National Heritage Corridor will be in the spotlight. This is a given – after all the Commission has been honored by an invitation to march in the 57th Presidential Inaugural Parade on January 21, 2013. With a newly completed Management Action Plan, this should be an important year for the preservation of this national treasure. 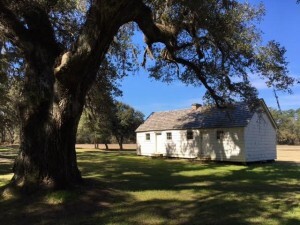 See our post on the Gullah Geechee National Heritage Corridor. 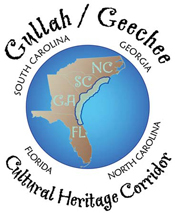 Answer: Congratulations to the Gullah Geechee Corridor for their strong promotional efforts in 2013. These include offering banners and highways signs for the region and advancing awareness of the corridor through gubernatorial proclamations. Despite limited funding and the budget woes of their National Park partner, the corridor is moving forward. The observer covered the float in the Inaugural Parade , the new Gullah Geechee Commission and the challenges of community conservation on Sapelo Island. Despite limited funding and the budget woes of their National Park partner, the corridor is moving forward. The next step, a nationwide search is on for the corridor’s first executive director. Not predicted, but we all should have seen it coming, was the United States’ defunding of UNESCO and the impact this has on the World Heritage program . Just when there is a popular ground swell of interest in World Heritage designation in places as disparate as San Antonio, Texas and southern Ohio, the United States has stepped back. Follow this issue thanks to the work of Preservation Action. The Living Landscape Observer predicts that there is plenty of unfinished work for 2014. What do you think? Centennials are rather a big deal. The National Park Service (NPS) hopes to take advantage of their 100th birthday in 2016 to spark interest in the future direction of the agency. They have created a new web site to begin the discussion and are asking the public to submit their ideas by October 20th. To share your thoughts on how to mark this important anniversary go to The Next 100 Years for America’s National Parks. The site also provides an opportunity to create your own discussion groups and post your own comments. The National Heritage Areas already have a number of topics on the site such as examples of educational programs and some updates on the areas. Large landscape practitioners may want to jump in and in share their thoughts on existing park partnerships and where this movement should be headed in the future. While many of the proposals for the centennial will be celebratory in nature, this is also a time for reflection. As always the George Wright Society is out in front on this issue. Starting in 2007, the journal The George Wright Forum began publishing a series of Centennial Essays by the leading thinkers on the both NPS today and tomorrow. Thanks to the society for gathering all these essays in one easy to use location. You can read them here. The year 2016 will be here before we know it! Practicing Large Landscape Conservation: Can You Say that Again? 1) Start with the Big Picture – To bring together communities and organizations at such a large scale, you need a compelling reason. What can help, as one observer noted, is a “regional storyline”. For example, heritage areas have done a good job of bringing together diverse people to tell authentic American stories. When thinking about a large landscape, always follow the resource whether it is a watershed, a mountain range, or the cultural resources that define a sense of place. 2) Engage the Community – To understand both the landscape and the steps that can be taken to conserve it, ask the people who live there. They can ground truth the storyline and point the way to future opportunities. Nobody likes to be surprised, so plan to take your time on this part of the process. Always be on the look out for partners, who are interested in stepping up to the plate. 3) Set Some High Level Goals – To make things happen, you need to have defined objectives. These should be specific enough to seem achievable, but general enough that they attract multiple partners. The secret to effective landscape scale work is aligning the dollars and sweat equity of many partners to achieve a common goal. 4) Take Early Action – To build momentum for a landscape size projects, you need to be action oriented. Partnering is a skill that improves with practice. So get everyone’s hands in the dirt. Accomplish something that region has always wanted, to do but has just needed a little extra effort. Look for projects that cross traditional boundaries and bring in new partners. 5) Sustain a Central Core or Hub – To continue any large landscape effort, somebody has to make it a priority. Somebody has to get up every morning and say, “how can I advance the work”. Networks of partners thrive when they are tended by good communication and some incentives for good behavior. An effective core entity or hub needs to be a special purpose organization that is considered an honest broker, one, which will put the interest of the landscape first. And most difficult in this financial environment, one that is not always competing for funding with the other regional partners. In the end the most important thing is to put this research into action. It is the networks of practioners like the Alliance of National Heritage Areas and the Large Landscape Practioners Network. that are central to the future of the movement. So join in the conversation and share your ideas on what are the core principles of this new way conserving the landscape. Landscape architects, regional planners, academics, and students from over 20 countries gathered at the University of Massachusetts Amherst for the Fabos Conference on Landscape and Greenway Planning (April 11-12, 2013). The conference theme was Pathways to Sustainability, but what really brought them together was Julius Gy. Fabos now Emeritus Professor in Landscape Architecture Department. Over his long and distinguished career, he has written the book Greenways: The Beginning of an International Movement (Elsevier, 1996) as well as hundreds of articles on the greenway movement, but even more importantly he attracted students from all over the world. His students went forth and implemented these ideas in Portugal, India, China, and beyond. The Fabos conference is held every three years alternating between the United States and Europe – the 2010 conference was held in Budapest. The goal is bring together experts who are influencing landscape planning, policy making and greenway planning from the local to international level. The event was all of that and more with the celebratory vibe of a 25th anniversary class reunion. Another landscape scale movement, the heritage areas, held a brief retrospective at the Fabos Conference. The heritage area idea was founded in many of same impulses as the early greenway approach. Glenn Eugester, retired NPS, traces their evolution to related strategies to coordinate natural resource conservation, historic preservation, land use and economic development on a regional scale. Moderated by U Mass- Amherst Professor Ethan Carr, the panel provided a backward glance on the origins of the heritage area movement. Paul Bray and David Sampson traced the important legacy of both the greenway and heritage programs in the state of New York. Eleanor Mahoney reviewed the significant contribution National Heritage Areas have played in preserving industrial history and the landscapes of American labor. I summarized what we can learn from evaluations of twelve of the early National Heritage Areas about successful regional scale management over a period of fifteen to twenty years. The four papers from this panel are available in the Research and Writing section of the Living Landscape Observer. Next year the National Heritage Area idea will turn thirty and it is time for reflection and taking stock. Until the Fabos Conference, I never thought that much about the nexus between academia and changing the world. Paul Bray summed it up “I was impressed with the success Julius Fabos has had in scattering the seeds for greenways in many nations.” The heritage area movement needs their own Johnny Appleseed to nurture the idea, write the book, and engage the next generation of practitioners. Read all the conference proceedings here. Just when you think things cannot get more dire for the National Heritage Areas, the program found itself fighting a rearguard action as the Senate was poised to pass the FY 2013 budget – well, actually it was a continuing resolution (CR), which is what passes for a budget in Washington these days. On Thursday March 17, Senator Tom Coburn (R-OK) proposed a amendment to strip away half of the funding for National Heritage Areas ($8.1 Million) and redirect much of the money to reinstate tours of the White House and for other national park service activities His amendment would have also nixed a one-year extension for twelve areas that had reached the end of their authorization. And just to show that he was really serious, Coburn backed himself up with talking points and a press release to Fox News listing “wasteful heritage area projects’. So all weekend, the NHAs scrambled their delegations on both sides of the aisle and on Wednesday March 20th the Senate defeated the amendment by a vote of 45-55. The Senate sent the CR back to the House minus the language harmful to NHAs. It passed the next day. Phew! The short history of the National Heritage Area (NHA) program has been full of last minute saves. The Living Landscape Observer has posted several times on the brinksmanship that has characterized the life of heritage area leaders. See this piece from last year for example. What is truly hard to swallow about this most recent attack was that Coburn’s most damming indictment of the program came directly from the mouth of the current administration. The Department of the Interior FY 2013 budget request recommended an $8.1 reduction from the $17 appropriated for the program in FY 2012. The rationale stated in the budget document was: “The National Park Service is proposing to reduce funding for the National Heritage Areas program for FY 2013 by roughly 50 percent. This proposed reduction would allow the Park Service to focus its available resources on sustaining park operations and other critical community partnership programs. Managers of NHAs continue to rely heavily on Federal funding, although the program was not intended as a pathway to long-term Federal funding for individual Heritage Areas” Ouch! Over the past year the National Park Service’s Call to Action identified NHAs as a promising strategy. Director John Jarvis has spoken out strongly in favor of the approach and has issued a policy directive that reinforced the importance of these partnerships. The agency is in favor of legislation to establish a NHA program. The next big step — send a new message on the value of NHA to Congress with the right price tag – how about $49 million in FY 2014? Seriously, in these times of high budget drama and shrinking resources, the NPS should take advantage of partners like the NHAs with such proven and effective advocacy skills. What if everybody got on the same page? Then we could start building the kind heritage partnerships that will sustain the places we care about not just for one congressional cycle, but for the next generation. 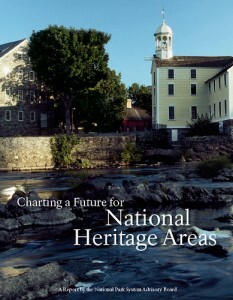 A recent report summarizing the evaluations of twelve National Heritage Areas (NHA) found very positive outcomes. The evaluators gave the NHAs thumbs up for following their legislative purpose, for accomplishing their management goals, and for creating effective locally driven management structure. The evaluations concluded that every NHA followed responsible financial practices, routinely leveraging the National Park Service funding four-fold for projects and programs in their region. (NPS) undertake an evaluations of the accomplishments of the nine National Heritage Areas (NHAs) that were reaching the end of areas funding authorization. The studies were done by an outside evaluator, but informed by three earlier research and evaluations by the NPS’s Conservation Study Institute. Taken together, these twelve evaluations are the largest body of research on how landscape scale initiatives can build partnerships and implement their stewardship missions over a big space and over a long time. The reports are hundred of pages long and are packed with information and recommendations. This is a great resource for anyone who wants to understand how much we all have to learn from the NHAs program and how much we all have to lose if these twelve areas are not reauthorized. Read the high level findings from the evaluations in the five-page overview report: An Evaluation of Twelve Heritage Areas here. It has been a long process, but the management plan for the Gullah Geechee Cultural Heritage Corridor is finally done. There is only one step left, the Secretary of Interior has to ink in his, or maybe now her, name on a letter of approval. So what lies ahead? Recently, the Living Landscape Observer caught up with two members of the Gullah Geechee Cultural Heritage Corridor Commission, Veronica Gerald and Ralph Johnson. We talked about the opportunities the commission faces as a standard bearer for a living cultural landscape that stretches over four states. It is a big task to interpret this narrative on such a geographic scale and it is made more complex by the importance of telling the story over time. Gerald was worried that “people only want to interpret us historically.” She noted that the story stretches back across the Atlantic and forward into the present day as the Gullah and Geechee people spread out across the nation. Johnson gave as just one example the history of the Underground Railroad to the south. At one time enslaved people from the region escaped to then Spanish controlled Florida and dispersed from there. The corridor still serves as a cultural hearth for all of the Gullah Geechee people and Gerald and Johnson noted that it is a hearth that is still burning. Both Commissioners agreed that the national designation, the corridor is one of 49 heritage areas or corridors in the National Park Service, is important because it serves as umbrella arching over the region that is such a significant part of America’s collective heritage. They encouraged the park service to work closely with the commission to interpret the Gullah Geechee experience. a) Heritage Tourism – How can authentic Gullah Geechee products be marketed to improve the economic position of community members, where so many are now relegated to service positions? 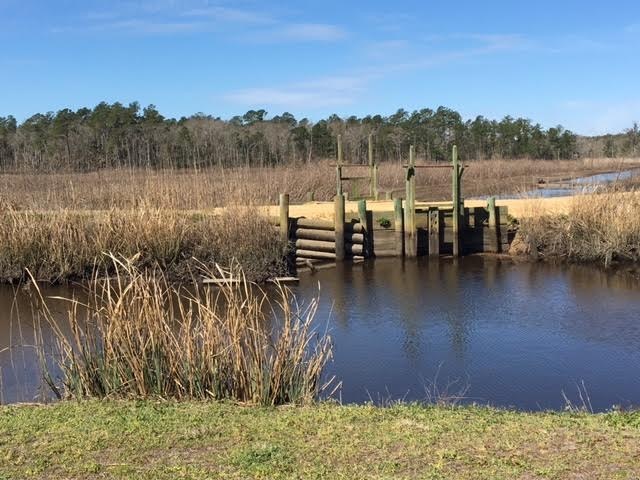 b) Land conservation – How can land traditionally owned by the Gullah Geechee community be protected from development or even from public acquisition? These are big topics that are probably beyond the know-how of the National Park Service. However, perhaps working together the expertise can be assembled to tackle them. The commission will have an important role as ambassador and translator to help ensure the right outcomes. Of course, all of this if going to require money and it is not going to be done on the meager allowance doled out to National Heritage Areas projects. So add raising money to the list of challenges. On one thing everyone agrees, the first step is to build awareness and recognition of what the Gullah Geechee Corridor has to offer the nation. So congratulations to the commission for their web site and read the post on the float inaugural parade. Now it is all of our job to promote this good work. So what will 2013 bring for the field of living landscapes? The editors of the Living Landscape Observer have a few predictions. We will follow these issues in the coming year and check back in December 2013! 2. National Heritage Areas will be pulled back from the brink. One of the country’s premier large landscape programs, National Heritage Areas, are in a precarious position. The twelve original areas are facing a loss of funding and most of the newer areas are severely underfunded. We predict the program will be rescued, but remain unsure on whether much needed program legislation will be passed. Located in the heart of America’s tall grass prairie, northeastern Iowa includes some of the world’s most fertile soil. Across a gently undulating terrain, the landscape breaks into hills, valleys and bluffs as it approaches the Mississippi River at its eastern border. Diverse Native peoples farmed the valleys and managed the upland prairie with fire to improve habitat for game. Europeans arriving in the 1850s divided up the lands into individual farms. Many of these new settlers were immigrants from all corners of Europe. In the twentieth century, technological changes such as seed hybridization, food processing and preservation, and widespread mechanization expanded agricultural production. The region’s increased productivity helped supply world markets with food and grain. Local universities further developed the area as a center of agribusiness innovation. Urban centers supported packinghouses, farm equipment factories, and transportation links to support an agricultural economy. As in all agriculturally-based economies, the region was buffeted by fluctuations in climate, the national economy and world markets. By the end of the twentieth century, it also faced other difficulties. This part of Iowa struggled with the loss of established food processing facilities, which impacted the vitality of the urban centers. 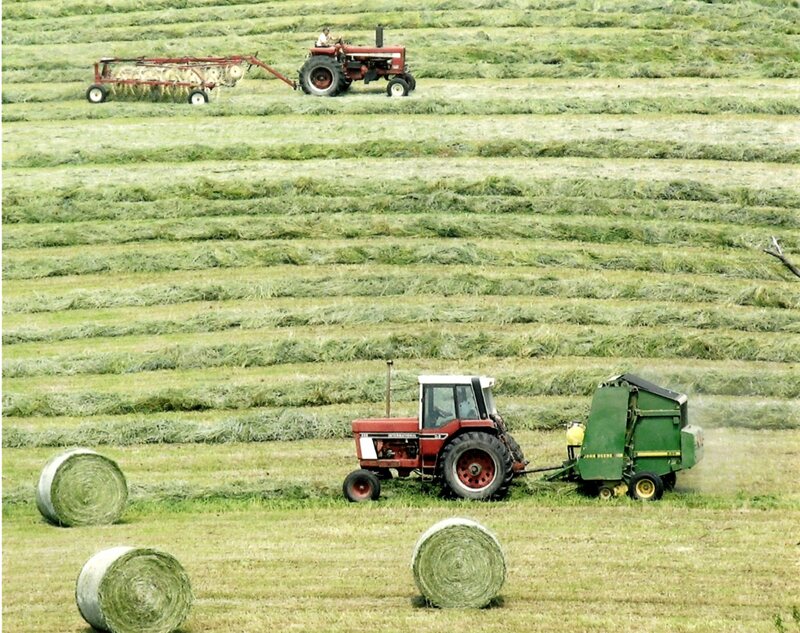 The farming population was aging, some prime agricultural land was falling out of production, and there was farm consolidation that changed both appearance of the landscape and community vitality. More positively, the region still had a strong tradition of family farming and was known for its work ethic and traditional values. In 1991, a new nonprofit, Silos and Smokestacks, surveyed one of the region’s depressed urban centers as part of an economic revitalization scheme. The survey found that the city’s heritage and economic well-being was inextricably linked to the larger rural landscape. Following on this work, the NPS was asked to study the potential national significance of the region. The resulting NPS Special Resource Study determined that northeast Iowa had made significant contributions to the story of national and international agriculture and proposed designation of a 17-county area as a new entity to be called a heritage partnership to tell this story. One year later Congress designated a substantially larger region, 37 counties in all, as America’s Agricultural Heritage Partnership. This legislation also authorized a new a local management entity made up of representatives from volunteer associations, private businesses and state and local political subdivisions to interpret and promote the natural and cultural resources that contributed to the region’s significance. Similar to a National Heritage Area, the partnership was a large lived in landscape, which was to be managed locally with the federal government’s role limited to financial and technical assistance . In the beginning, the new America’s Agricultural Heritage Partnership, which became known by the name of Silos and Smokestacks, faced many challenges. These included the scale of the initiative, which was over 20,000 square miles. 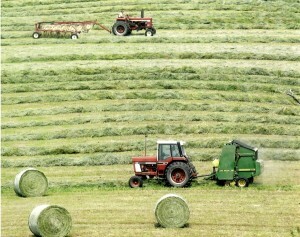 Another was the rural agrarian culture, which places a high premium on individual action and on self-reliance. To overcome community concerns about the role of the national government in this new heritage designation, the original legislation authorized the Department of Agriculture to serve as the lead federal agency, given that this department was the traditional federal agency liaison to the farm community (NPS 2004). However, the project stalled when the Department could not envision itself in this new and unfamiliar role as a provider of heritage assistance. Despite these setbacks, the nonprofit management entity, authorized in the legislation, persevered and built a strong partnership network. In 2000, the NPS was designated as the lead federal partner and the region became part of the agency’s National Heritage Area program. This program now has 49 Congressionally designated areas that receive assistance from the NPS (NPS National Heritage Areas, n.d.; National Park System Advisory Board 2006; Barrett and Mitchell 2003; Barrett and Wood 2003). The heritage area focused on interpretation of the agricultural story in order to implement the partnership network in a way that respected the area’s traditional values of independence and voluntarism. The primary goals were to add economic value through increased heritage tourism and to share the story with residents and visitors. Over the last ten years, this focus on telling the story and adding economic value has been well received within the 37 counties. The area has 108 formal partnerships built on existing, valued community assets that strengthen the sense of regional identity. It has connected these partner sites around a series of broader interpretive themes and built the capacity of the organizations with targeted grants, workshops and technical assistance. Linking the areas’ identity to the NPS brand, regional signage programs, and multiple social media campaigns have helped promote the heritage value of this very large landscape. A recent evaluation documented that over 3 million people visit heritage sites a year. It also found that the heritage area responded to demand for youth programming, by adding a substantial educational component with a focus on history of farming, reading the landscape, and the impact of agricultural programs and policies. There have been 1,000 participants in training programs and 500,000 visits to the award winning web-based ‘Camp Silos’. In conclusion, the Americas Agricultural Heritage Partnership has lived up its name and developed a collaborative approach where partners work together toward common goals. It is also able to tackle emerging issues through new partnerships, for example, flood assessment studies with Leopold Center for Sustainable Agriculture, tours to introduce wine-making in the region, and supporting food security through heritage plants and breeds exchanges (Silos and Smokestacks NHA n.d.). This strategy has overcome the initial concerns of residents about governmental designation and outside control of agricultural resources. For National Heritage Areas, the NPS’s role is to be one of the partners offering guidance, limited funding and strong brand recognition. The nationally significant cultural landscape is still managed by the people that live in it, but with a much greater appreciation of the place they call home. I’ve had a lifelong affinity for South Carolina’s Low Country (there are Means family buried in the Episcopal Church yard in Beaufort) and one of my earliest memories is of the golden marshes and moss-draped live oaks. For the last year, a volunteer assignment has taken me to St. Helena Island numerous times. There, we have guided the recently adopted strategic plan for Penn Center that will assure it continues to serve the Gullah Geechee communities. Begun in 1862 as Penn School, one of the first schools for Africans (they were still enslaved; this area of the state was occupied by the Union Army throughout the Civil War), this National Historic Landmark was struggling as it approached its 150th celebration. Though the transition may at times be difficult, Penn Center’s leaders are successfully moving to a much stronger and more sustainable condition, on course to a much brighter future. Steeped as I have become in the this fascinating place, and having led the consultant teams for management plans for several National Heritage Areas, I’ve been looking forward to reading the recently released Management Plan for the Gullah Geechee National Heritage Corridor, for Penn Center is smack dab in the middle of it. Moreover, St Helena Island is one of the strongest concentrations of Gullah Geechee people. Here is one of the few remaining distinct peoples who can trace their beginnings to the west coast of Africa, mostly what is now Sierra Leone and Angola. Penn Center’s mission revolves around preserving and interpreting Gullah Geechee history and culture. Sprawling coastal development continues to decimate many of their communities; physical evidence of their existence is fading fast all along the coast. Penn Center and St Helena Island are probably the most intact remaining cultural landscape in the Low Country. With the inevitable diaspora, language and cultural practices also disappear. The ability of people to hold on and stay here hinges as much as anything else on the ability to make a living. Bringing appropriate economic development is key; heritage tourism represents a promising albeit complex opportunity. So, time is of the essence if current and future generations are to be able to hold on to their traditional communities. If ever there was a cultural landscape worthy of being a heritage corridor, it is this one – especially in the Low Country. Local and regional leaders fervently hoped national designation would bring badly needed public exposure, funding to preserve, interpret and market the corridor’s sites and communities, and greater clout when advocating for the preservation of fragile communities. In 2004, the Corridor made the National Trust for Historic Preservation’s Eleven Most Endangered Sites list. Legislation to create the GGNHC was first introduced in Congress in 2000, and it was finally designated in 2006, with the designation set to end in 2021. The process of creating the corridor management plan has been managed by the National Park Service in cooperation with the 21-member Commission established to oversee the corridor. The plan document is nearly 300 pages long and reflects a great deal of work and public involvement. I’m sure it fully meets NPS standards for planning, which seem to revolve around counting, studying and consulting – always mindful of not committing NPS to anything too specific, being voluminous in documentation and lofty goals, while micrometer thin when it comes to implementation. It has taken six years of the NHC’s fifteen-year shelf life to get to this point. Buried deeply in it is the acknowledgement that funding will have to come from elsewhere. Remember, NPS funding for national heritage areas is roughly $18 million dollars. Today, there are 49 designated heritage areas all scrambling for crumbs of the budget pie. Six years of planning fatigue and high hopes. Now what? Partnerships. When there is no money, the solution always offered is partnerships. Throughout the GGNHC Management Plan it is a major theme: to work with existing sites and organizations, to bring financial resources and technical assistance, to make marketing efforts more effective. Yet nowhere in the plan is there a realistic assessment of who those key partners must be for this to succeed. There are hundreds of organizations and agencies – NPS even notes “too numerous to list” in the plan itself. Apparently the planning process did not involve actually identifying, much less brokering a couple of these key partnerships. If the survival of the communities of the GGNHC must depend on partners, shouldn’t the planning process have focused less on NPS internal policies and more on what might motivate some of those key entities to invest in priority initiatives in the Corridor? Shouldn’t it help articulate the benefits that could come to a few key “others” for becoming an active partner in achieving the visibility and interpretive infrastructure the Corridor badly needs? In addition to the economic climate of our times, there’s another hurdle for the GGNHC. During this same time-frame, Charleston struggled to explore the feasibility of a capital campaign to build an International African American Museum. Research for the campaign revealed the daunting task of raising millions in a state that has not even begun to process the legacy of slavery and its resultant climate of racism. The sad truth is that preservation of cultural landscapes that are predominantly those of the descendents of slaves is painful and does not touch the hearts and wallets of preservation’s traditional philanthropists. Penn Center is one of those struggling Gullah Geechee sites. Its story is one of blacks and whites working together during the Civil War, through Reconstruction and the Jim Crow era, into the Civil Rights movement and beyond. Its newly adopted direction builds from these roots. 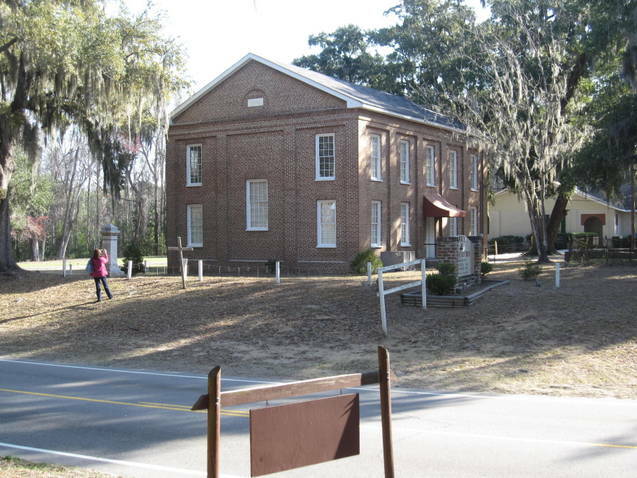 As a National Historic Landmark with a rich association with education, self-sufficiency, community building, civil rights and social justice, Penn Center can play an important role in bringing the Gullah Geechee NHC into being. Penn’s leaders believe there is mutual benefit to be had in becoming a strong partner to the Commission, to the best of its own ability. Discussions will soon begin about how best to achieve it. The Corridor Management Plan is available here. Learn more about the Penn Center here. Mary Means is nationally known for her leadership in heritage development and planning. Prior to forming her firm Mary Means + Associates, she was vice president of the National Trust for Historic Preservation and led the team that created the National Main Street Center. Talk about a cliffhanger! As of now it looks like the funding for 12 of the 49 National Heritage Areas may be going over the edge. The Living Landscape Observer reported on this possibility earlier this year, but expressed hope in a post on National Park Service Policy & Proposed Legislation that new thinking and support of the program would save the day. However, Congress took no action on the long awaited National Heritage Area Program legislation (HB 4099) or on any of the individual funding extension bills. Now the passage of a continuing resolution to fund the federal government through March 27, 2013 leaves the 12 heritage areas in the lurch – the CR provides level funding for the broader National Heritage Partnership program, but without the requisite authorizing legislation, none of the 12 areas in jeopardy can access these dollars. And here is what is so frustrating; within the National Park Service (NPS) support for the program is stronger than ever. Heritage areas were identified in the recent Call to Action as a promising strategy. Director John Jarvis has spoken out strongly in favor of the approach and has issued a policy directive that reinforced the importance of these partnerships. In March of this year, NPS testified in favor of reauthorization legislation for a number of areas. In a final irony, the NPS is just putting the finishing touches on evaluations of nine of the twelve area (evaluations of two of the earliest heritage areas were completed in 2006). These have not yet been released, but if the findings are anything like the earlier evaluations, it will reinforce Director Jarvis’s message that NHA’s are an important means for developing partnerships, engaging diverse communities, and protecting large landscapes. In other words, making the NPS relevant to a wide cross section of our nation’s people. So what is the future for 12 areas? The short history of the National Heritage Area (NHA) program has been full of last minute saves. There are number of “save the day” possibilities: Congress could pass a reauthorization bill after the election and before adjourning for the year; it could take legislative action when the members come back in 2013; or it could tackle the issue as part of adopting the other half of the FY2012 budget. Whatever the outcome, this kind of brinksmanship along with all the other budget drama in Washington makes it difficult to keep building heritage partnerships that local communities can believe in. The roll call: Augusta Canal National Heritage Area, Delaware and Lehigh National Heritage Corridor, Essex National Heritage, John H. Chafee Blackstone River Valley National Heritage Corridor, Lackawanna Valley National Heritage Area, Ohio & Erie Canalway National Heritage Area, Hudson River Valley National Heritage Area, National Coal Heritage Area, Rivers of Steel National Heritage Area, Silos and Smokestacks National Heritage Area, South Carolina National Heritage Corridor, and Tennessee Civil War National Heritage Area. Charting a Future: National Heritage Corridor to become our next National Park? Interested in the future of National Heritage Areas or in the bigger issue of partnership management in the National Park Service (NPS)? If so, the proposed legislation to rethink the Blackstone River Valley National Heritage Corridor may be of interest. In the past, one of the selling points for designating National Heritage Areas was offering a model that was an alternative to a NPS park unit. Within the boundary of a heritage area, the NPS would not own any land, would avoid costly maintenance of historic buildings, and would be able to count on partners and volunteers to make a major contribution to the work. In return, the NPS would be able to tell nationally important stories of industry, agriculture and cultural heritage on a large landscape scale that would otherwise be impossible to imagine. 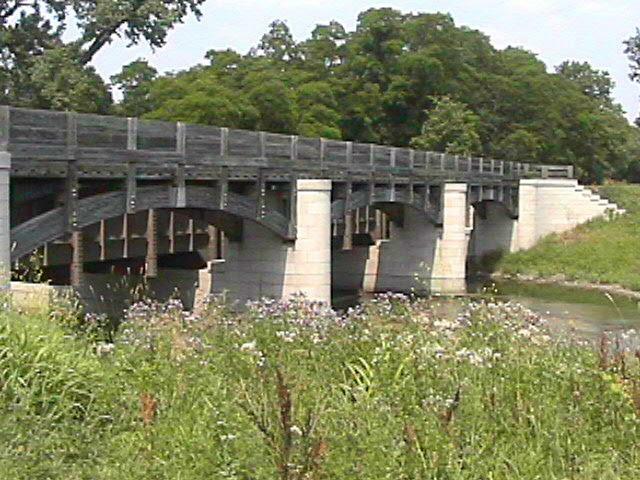 This was certainly the idea in 1984 when President Ronald Reagan signed into law the first national heritage corridor along the Illinois and Michigan Canal. This model was also fresh in Congress’s mind when they created the Blackstone River Valley National Heritage Corridor two years later. For a quarter of a century the Blackstone River Valley National Heritage Commission, in partnership with the NPS, has managed a 550 square miles corridor that spans two state and 24 communities. The landscape of the Blackstone Valley illustrates an arc of the nation’s industrial history stretching from sites of early industrial innovation to environmental exploitation, then abandonment, and finally regeneration. 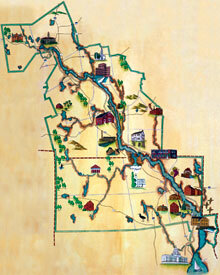 The mission of the Blackstone Valley Commission included both natural and cultural resource conservation. It boldly tackled issues like water quality, local land use and even leadership training for residents and government officials. The commission was recognized as a model for partnership management of a living landscape. Despite these successes, the community, political leaders and the NPS seem to have taken a new path and are proposing to create a new National Park unit. A recent NPS Special Resource Study (2011) recommended a more traditional approach – the creation of the Blackstone River Valley Industrial Heritage National Park. The sweeping ideas of the original heritage corridor – partnership management of the valley – have been reduced to NPS staff preserving a collection of industrial heritage sites. And this is not just a study; Congress has introduced legislation to make it a reality. (See SB 1708 and HR 3191). Blackstone River Valley National Heritage Corridor encompasses an entire watershed with a broad mandate for the preservation, redevelopment, and interpretation of the regional landscape. The Blackstone Commission has a current annual operating budget of approximately $1 million and 14 full-time employees. Proposed Blackstone River Valley Industrial Heritage National Park would encompass four historic districts, the Blackstone River and Blackstone Canal with an annual operating cost of $3.5 million not including proposed planning costs, construction, rehabilitation and exhibits at four sites. With 49 National Heritage Areas from Alaska to Alabama, these numbers are thought provoking. More problematic for the NPS are the implications for management based on partnership, community engagement and working at a landscape scale, rather than the traditional, ownership model. A 2005 NPS study identified the critical ingredients for the Blackstone River Valley’s’ future success as: (1) strong collaborative leadership to carry forward the vision; (2) an ongoing relationship with the NPS; and (3) secure, sustainable funding. In 2012 two of those critical ingredients may be on the way, but the first and most important one remains uncertain. Just as the NPS’s most recent strategic plan, calls for scaling up its work and promoting large landscape conservation to support healthy ecosystems and cultural resources, one of the best examples of collaborative lived-in landscape management may be headed for a down sizing. Is this an overreaction? Some of the longtime leaders of the Blackstone Corridor see the new legislation as a positive approach. They point out that the new park unit will have grant funding for continued partnership work in the region and they remain hopeful for the future. Let us know what you think. NPS Policy & Proposed Legislation: A Breakthrough for Heritage Areas? Things are definitely looking up for the US National Heritage Areas. Bedeviled by years of uncontrolled growth and meager funding, this program has long been a candidate for the most neglected offspring on the National Park Service (NPS) family tree. However, on March 14, 2012 NPS Director Jon Jarvis issued a policy memo that affirmed NPS support for the National Heritage Areas Program and encouraged NPS managers to help the areas succeed. 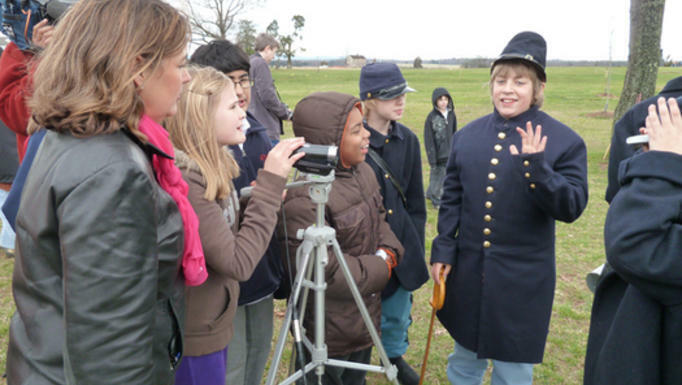 Jarvis highlighted heritage areas as a critical element in the Agency’s broader effort to connect to the nation’s youth and diverse communities. He emphasized that heritage areas embody a regional approach to conservation, which is critical to understanding lived-in and working landscapes, waterways, battlefields and both the built and natural environment. These are welcome words and go a long way towards addressing the past lack of clarity about how the National Heritage Areas fit into the tight knit NPS culture that has traditionally been focused on parks and protected lands. Another promising development is the introduction the long awaited National Heritage Areas Act (HR 4099) which would establish a legislative framework for the program within the NPS. The new bill has bipartisan sponsorship from Representative Charles Dent (R PA) and Tonko (D NY) and has already picked up 40 cosponsors from both parties. Efforts are underway to find a champion to introduce the bill in the Senate. The legislation contains many of the elements recommended in the 2006 National Park System Advisory Board report Charting a Future for National Heritage Areas. More problematic is the future of twelve of the forty-nine National Heritage Areas whose funding authorization expires in FY 2012. Originally, it was thought that NPS funding for a 10 to 15 year time period would be adequate to launch each new heritage area. Congress, recognizing the challenge of finding dollars for regional initiatives and the program’s growing popularity, has provided decades of funding extensions for many areas. However, tough budgets times finally have caught up with this strategy. Although NPS evaluations of the program have shown that stable funding is critical to long-term success, today only five of the twelve areas have pending legislation to reauthorize their federal funding. Funding has always been a sticking point for the program. While the NPS budget is over $2.4 billion , the heritage areas have struggled to survive on $17.4 million (FY 2012) divided 49 ways. Soon some of them may have even less. No wonder several older heritage areas are proposing more radical alternatives such as becoming units of the NPS. They are following the money and who can blame them?